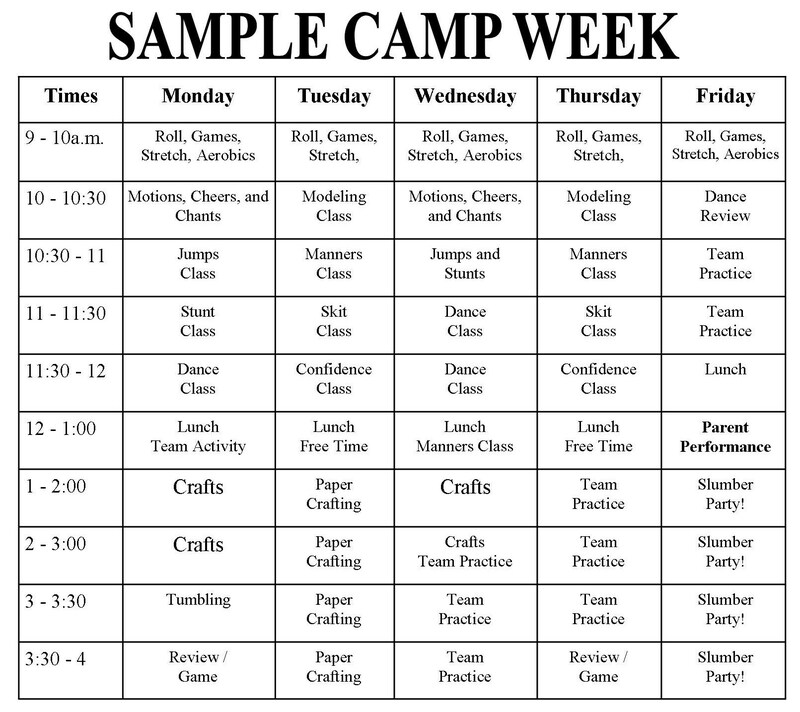 Cheerleading Summer Camp 2019 Activities! During our cheerleading classes, the campers learn various skills that are age and skill appropriate including: Motions, Cheers and Chants, Jumps – Beginner to Advanced, STUNTS – Beginner to Advanced and Proper SAFETY TECHNIQUES! Our cheerleaders learn a variety of dance routines including Traditional Cheer Dance Routines, Pom Pon Routines and Fight Song Routines. Our Modeling Class is about posture and self confidence. Our Skit Classes are designed to be fun and to help all of our cheerleaders to be comfortable in front of people. Our classes include public speaking, skits, games and props. Our Tumbling Class includes beginning tumbling skills like cartwheels, round offs, etc. Each week our cheerleaders will complete various craft and paper crafting / scrapbooking projects including: Cheerleader Crafts, Mini Scrapbooks, Adorable Cards, Frames, and MORE!